Natural materials DO have an effect on soundquality when implemented in audio equipment. Lots of manufacturers make use of these effects in their products, be it wood or cotton or as much as leaving out non-natural materials like plastics.. Some types of wood resonate easily and pleasantly hence musical instruments being made out of these. Fact is that these kinds of wood do transfer vibrations very good which can be of use in audio. Some coloration is sometimes mentioned as a side-effect but this is a subjective perception: One loves it, one other dislikes it.. Just like enjoying music..
On the search for a turntable mat leather seems to be a safe choice. Leather being natural material as well, although it depends a bit on how the tanning has been done. Jean Hiraga and 47Labs use thin reindeer leather with both sides kind of "rawish", so no smooth side or added color as with most tanned leathers.. On the wishlist this one is still present, so maybe in the near future an impression of a leather mat.. When talking about this with my friend Hans Kortenbach (Musical Affairs) he mentioned tonewood as a possibility. We know that different types of wood do have different transfer of vibrations and with that in mind he suggested to try thin Sitca Spruce, actually Fichten, as he uses for his speaker enclosures (Crescendo's). Many string instrument makers have a preference for Spruce when grown in places with a stable climat throughout the year so the grains are very evenly distributed. Carefull selection rules out knots or knurrs. They call it Tonewood. 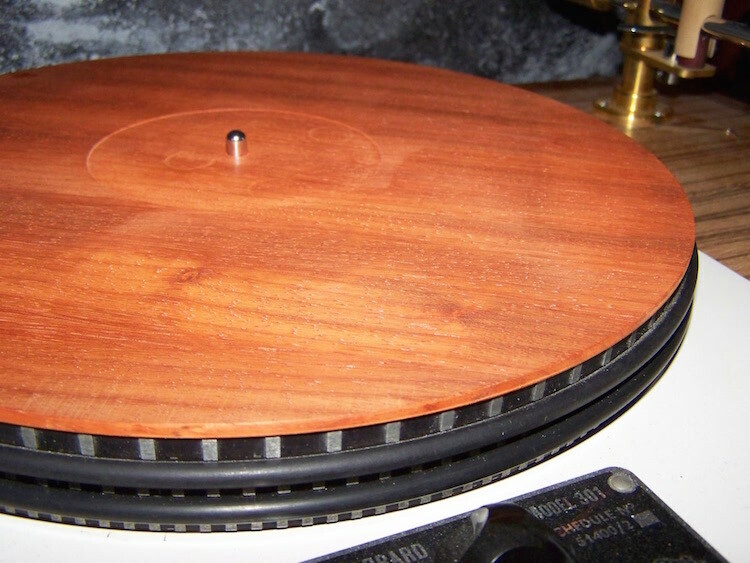 Actually when searching the net for "record or turntable mat wood", no relevant results were shown. A friend pointed out some simularity in the works of Bartholomäus Traubeck who offers recordings of tree rings themselves of various trees. Materials for mats being offered are mostly leather, cork, felt, carbon or a mixture of these as well as some synthetic materials or alloys. At one website I noticed that wood was omitted because "the bass disappeared". What kind of wood was tried is not mentioned. 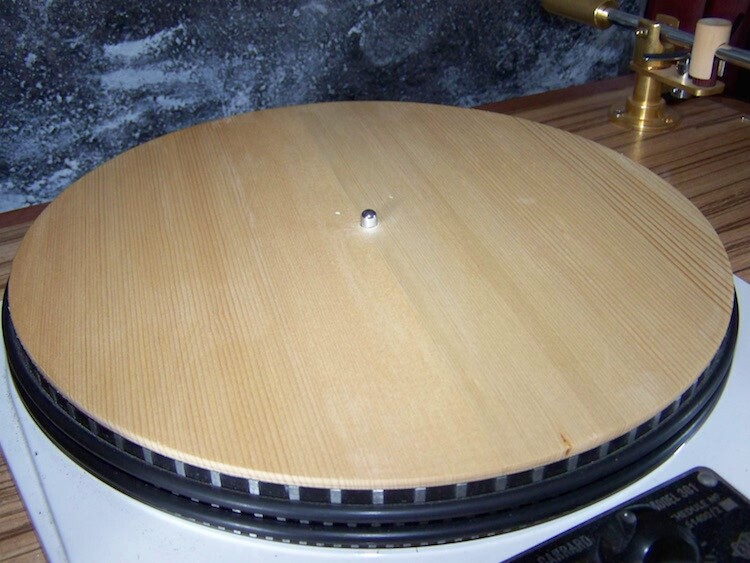 However I can not imagine that nobody ever tried wood as a turntable mat.. The Fichten mat made by Hans has a diameter of almost 30cm and a thickness of about 5mm. It has been treated once with a double layer of shellac and than sanded smooth. A slightly rough surface which allows for some friction between platter and mat, mat and vinyl did not proove very succesful. The center hole is slightly undersized so it has to be pushed over the spindle allowing for some correction regarding the possible warping issue. Going price is around 75 Euro's as the required quality Fichten selection results in lots of residual Fichten.. It is always fascinating to use wood in audio equipment since the effects are more or less simular where ever it is used. This wooden mat adds a subtle tone to instruments which is very enjoyable. Voices are presented with more focus and, again, tone. I did not notice any disappearing bass, actually I think that bass is very good articulated and taut. A very good presentation of detailed information in a 3D way: Positioning is very good, the soundstage is wide and deep. Instruments are presented at their right dimensions, so a piano is big and a violin rather small and this with the corresponding energy levels. One might think that mostly classical of jazz music will benefit from this mat, but being a fan of 60's and 70's rockmusic I can say that this is not the case. Rockmusic also became more enjoyable and musical when played "on wood". Any cons? Yes, since the mat is a thin slice of wood it is susceptable to humidity. This translates sometimes to some slightly warping. Most of the times this happens when the mat is left on the platter, with only one side exposed to the air. When stored vertically like vinyl this is less likely to happen. When the mat is a bit warped and taken of the platter, the mat will straighten within 10 minutes (to my experience). Overall this is a highly desirable mat! I think price/quality is good, price/performance way better..
One other thing is that different turntable principles are of influence on the effects of mats. 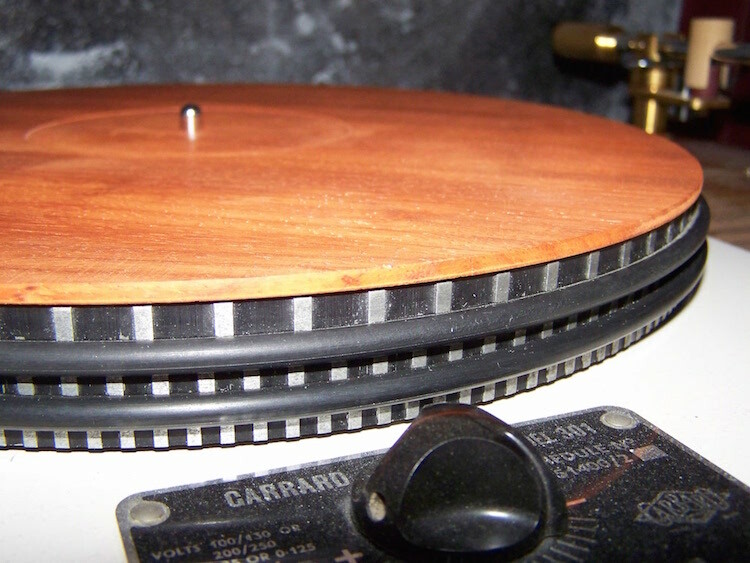 This impression is about an old Garrard 301, with its original platter idler driven. 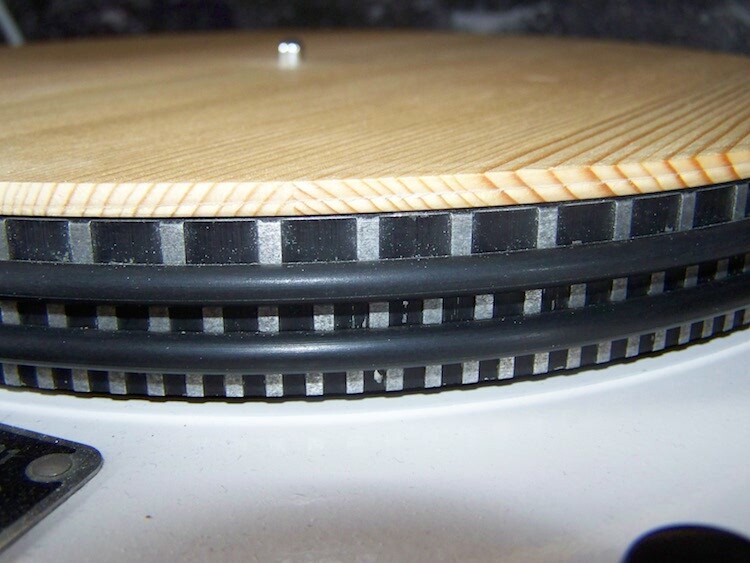 The effects on directdrive, belt-drive or high mass turntables may differ from the above..
As an addendum.. What about different kinds of wood? All woods have a different character as can be seen in music intrument making. 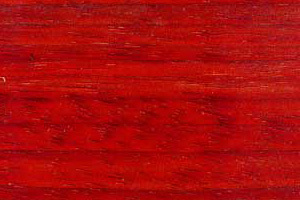 Marimba´s are preferably made of Padauk because it produces a distinct dark tone. It has a reddish color when it is fresh en tends to colour dark brown over time. So what happens if we make a turntable mat out of it? As said the Fichte adds tone and so does Padauk only slightly different. As all accesories have to add quality to the system that implies that you have to like it.. And so it happens that I favor the Padauk mat over the Fichte mat. It has fuller tone and more speed compared to the Fichte mat whilst retaining that organic character. Love it! Hans said that he has Padauk to make only 3 more, unfortunately.. at about 150 Euros each..